These are really nice little pouches that can be filled with purees, applesauce , yogurt, puddings, and more for your little ones. They are easy to open up, fill, and serve. You can stick them in the fridge till you're ready to go and give them a nice little treat. These don't only have to be used for babies, you can give them to older kids or you can eat out of them if you want to as well. They just extremely convenient for when you're out and about . You can save some money and stop buying the already filled ones from the store and put exactly what you want in them. 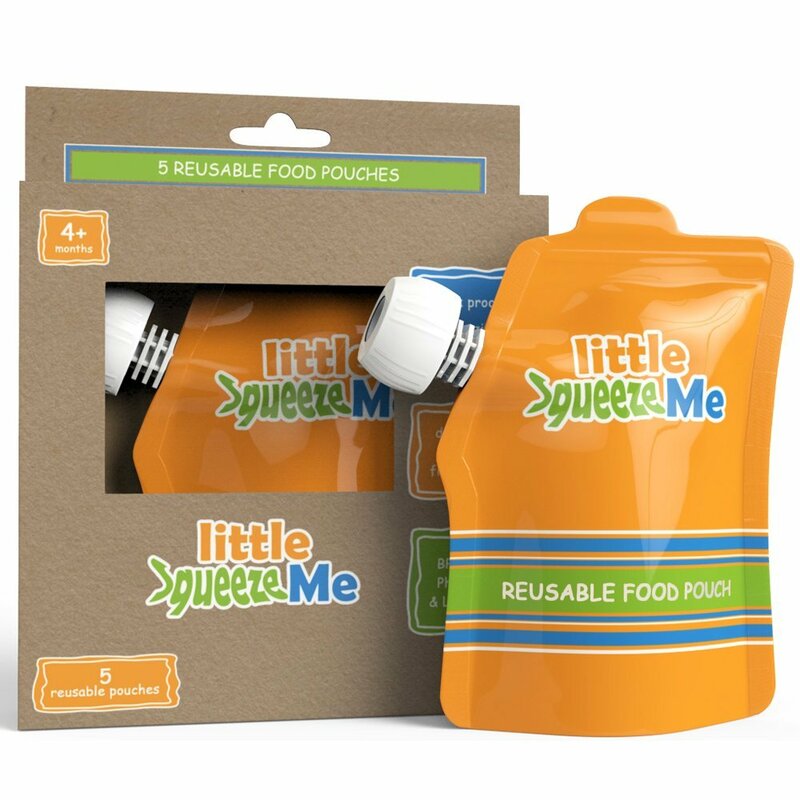 My family uses these regularly for all of us and will be using them for our baby as well, when she's ready for solid foods. They aren't a problem when it comes to cleaning either. I just rinse them out and then to them in the dishwasher for more thorough cleaning. I just rinse them out and then stick them in the dishwasher for more thorough cleaning. You can also visit their Instagram page and Facebook page.